The Avg. Group Saves 18.9%! In the Center of Everything. Shop, dine and play at the Capitol Riverfront, a booming and centrally located lively neighborhood that hosts many events and festivals. Capitol Riverfront is metro accessible and located within a 3-mile radius to the following local attractions: Nationals Ballpark, Washington Navy Yard, Trapeze School New York, U.S. Capitol, Eastern Market, NoMA, City Center, National Mall, Smithsonian Museums, Washington Monument, Thomas Jefferson Memorial, Lincoln Memorial, Martin Luther King Jr. Memorial, The Wharf, White House, US Botanic Garden, Library of Congress, U.S. Holocaust Museum. Some green programs are available. Indoor Pool & Whirlpool. No lifeguard on duty. 24 hours prior to arrival for individual reservations. Pets allowed at $250 non-refundable (2 pets 50 lb max). Ronald Reagan Washington National Airport (DCA) is located approximately four miles from the hotel. Hotel guests can take the metro from the airport to the hotel it costs approximately $3.00. A cab ride to the hotel from DCA costs approximately $15.00. Local Shuttle Info: Hotel does not provide Shuttle Service. Complimentary WiFi in all guest rooms and public spaces. 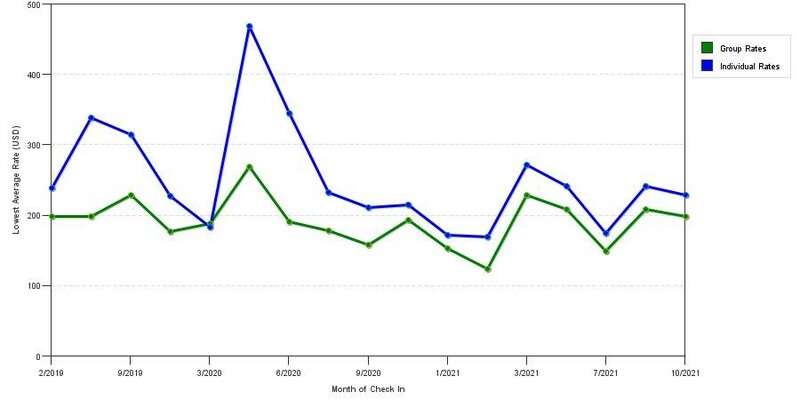 The chart above shows trends of prices for both group/meeting rates and the best individual traveler prices our system could find at the time the group/meeting bid was placed. The most competitive group/meeting rate displayed is 52.5% in the month of August 2017 and the highest average individual rate is $355 in the month of August 2017. This chart will show past seasonality and also project future months. If you are flexible with dates, you may want to consider staying at Residence Inn Washington DC / Capitol in a month when rates are lower. 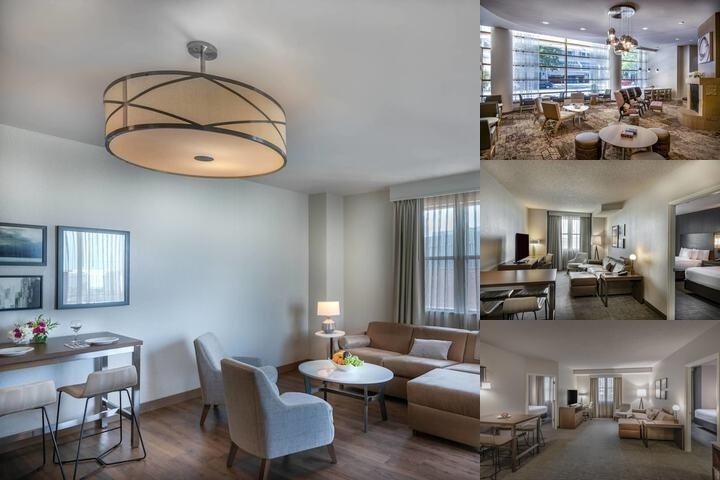 Below are the meeting, banquet, conference and event spaces at Residence Inn Washington DC / Capitol. Feel free to use the Residence Inn Washington DC / Capitol meeting space capacities chart below to help in your event planning. Hotel Planner specializes in Washington event planning for sleeping rooms and meeting space for corporate events, weddings, parties, conventions, negotiated rates and trade shows. 21 x 28 x 15 Ft.
37 x 28 x 15 Ft.
58 x 28 x 15 Ft.